Congratulations to Asia from Meadowcreek Elementary School for winning the 2012 Great Days of Service T-Shirt Design Contest. Continuing the theme from 2011, “Caring Hearts. 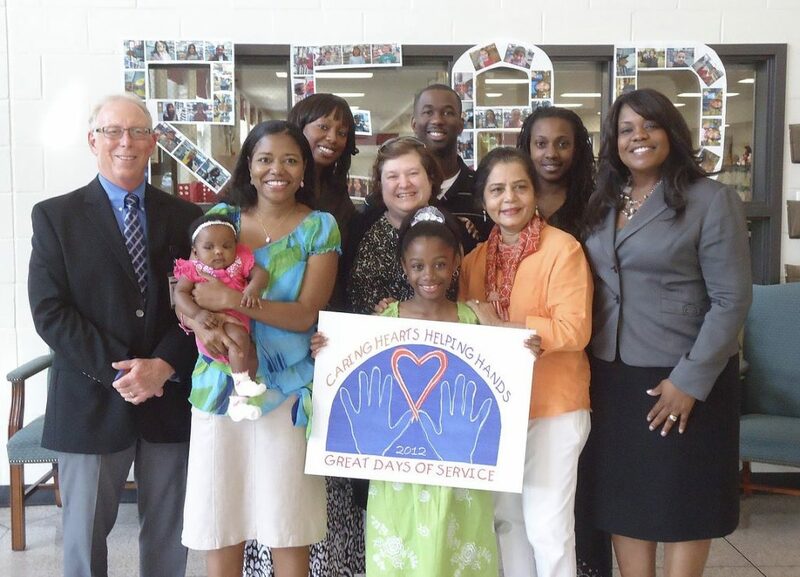 Helping Hands”, Great Days of Service partnered with Gwinnett County Public School’s Meadowcreek Elementary School (MES) to find this year’s budding artist to create the 2012 t-shirt design. This is the second year Great Days of Service has partnered with Gwinnett County Public School to create the t-shirt artwork. “The school system is such an integral part of Great Days of Service that they were the perfect fit for our initiative to involve students in the project for more than just the 2 days in October to promote a on-going culture of people helping people with the students” Regina Vella, Chair of the Gwinnett Great Days of Service. Gwinnett Great Days of Service will take place on Friday, October 5th and Saturday, October 6th. For more information, visit: www.gwinnettgreatdaysofservice.org.